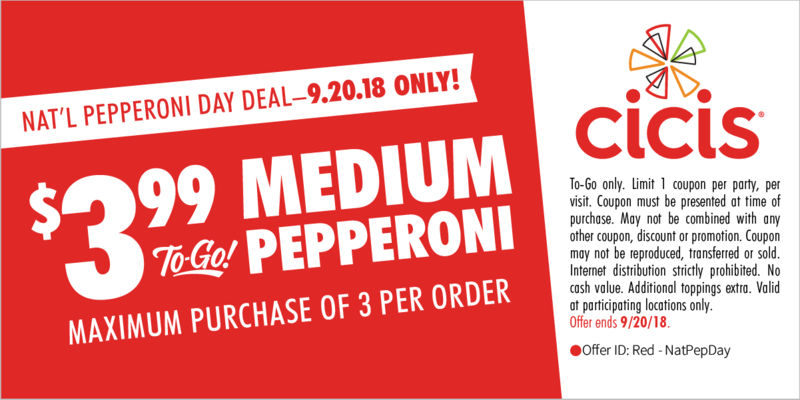 National Pepperoni Pizza Day falls on September 20, 2018 and a few pizza chains are offering deals to help you celebrate. - Cicis - $3.99 medium pepperoni pizzas to go with this coupon. You can order up to three with the discount. - Domino's - Large two-topping pizzas for $5.99 each when ordered for carryout through September 23, 2018. 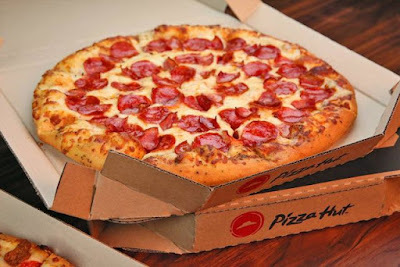 - Pizza Hut - Get a medium pepperoni pizza for $1 with the online purchase of any large menu-priced pizza on September 20, 2018. Use the code "PEPPERONI2018" at checkout for the offer.